San Francisco and Bay Area DUI and Criminal Drunk Driving Attorneys of Robert Tayac Attorneys at Law are skilled negotiators and successful trail attorneys in California. They have a strong record of success standing for both adults and juveniles in many bench and jury trials. If you have a DUI In CA, you now have your representation. If you have been accused of a DUI in California or drunk driving, the decisions you make now can seriously affect your life. The strength of your defense should be assessed by an attorney who understands the unique facts of your case and knows how the law applies to your circumstances. Robert Tayac is committed to providing effective discreet and reasonably priced legal representation in San Francisco. Because they focus in California DUI, DWI California, drunk driving, and criminal cases only, Robert Tayac have a history of obtaining the most favorable results because of their attention to detail and their experience in the Bay Area Court system. 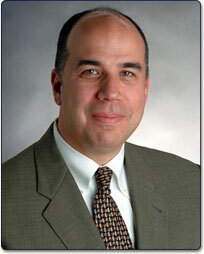 Robert Tayac is also skilled in the details of CA DUI Laws. If you or someone you know has a DUI, drunk driving or criminal law case in California including the San Francisco or the Bay Area and needs legal counsel or assistance of experienced Northern California DUI criminal defense lawyers, please contact Robert Tayac today toll free at 800-901-1888, or fill out the contact form given on the website to schedule your free initial consultation. A California DUI Attorney and member in good standing with the State Bar of California. He has been helping people as a Northern California DUI lawyer since 1994. If you get a DUI In California, he can help you as well. Admitted to practice before the California Supreme Court and all State and Federal Courts in California. Over 50 hours per month researching. He is an independent Northern California DUI lawyer, and believes in challenging everything for his clients' defense, according to California DUI Law, to be successful. As a matter, he is ready to fight your case by bombarding the District Attorney with extensive pre-trial motions, demonstrative evidence, photographs, witness testimony, videos, defense experts, essential cross-examination of the prosecution's witnesses, and your testimony. Clients come from across CALIFORNIA and from other states to keep his services. As a CA DUI lawyer, he focuses on cases in northern California, including California DMV DUI.